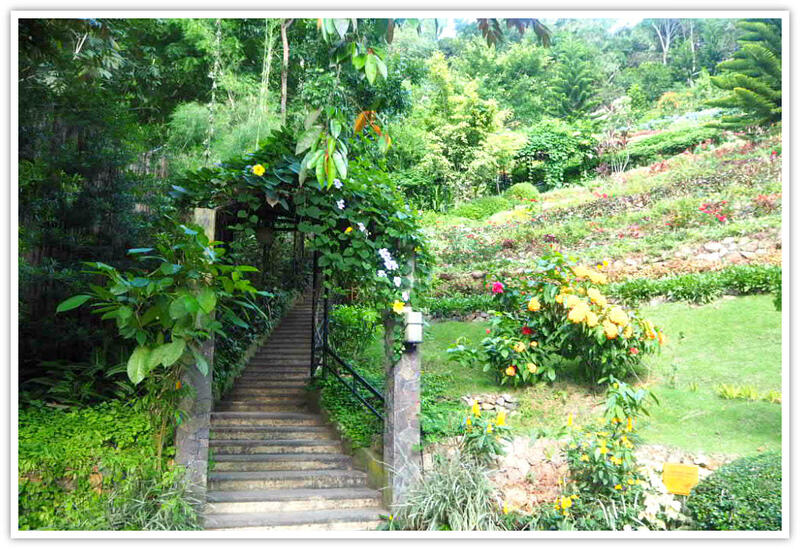 Terrazas de Flores is a botanical garden that brightly adorns the mountainside of Barangay Malubog, Cebu City. The slope botanical garden facing the south is bedecked with colorful flowers carefully planted by rows. Each row of flower specie was done in a way that forms terraces of flowers. Terrazas’s success as a family project took about seven years of tedious labor to achieve. Now, this creative mind behind this project is reaping the fruits of his labor. Visitors from everywhere come to witness this amazing vision turned into a reality. During weekdays, hundreds of guests come to see the flowers and experience the atmosphere of the garden. Of course, the botanical garden is packed during weekends and holidays! According to an interview, the businessman Mr Yuri Barrameda was not satisfied showing his love for his children with only a bouquet of flowers. So, he expressed his boundless affection for his three children (Andrea, Cheska, and Moses) by building terraces of flowers. Henceforth, he called the testament of a father’s love: Terrazas de Flores. Before the terraces were built, Barangay Malubog’s hill was just an ordinary piece of land on a mountainside covered with some bushes, plants, trees, and stones back in 2007. Now, you can see 56 terraces. Residents built them with interlocking stones. The terraces are natural and could withstand the pouring rain should it come. As a result, they do prevent soil erosion. TRIVIA: The word ‘Terraza’ is a Spanish word for ‘terrace’ in the English language. Over one hundred (about 127) flowers are being planted so far (and expanding) in this two-hectare project. 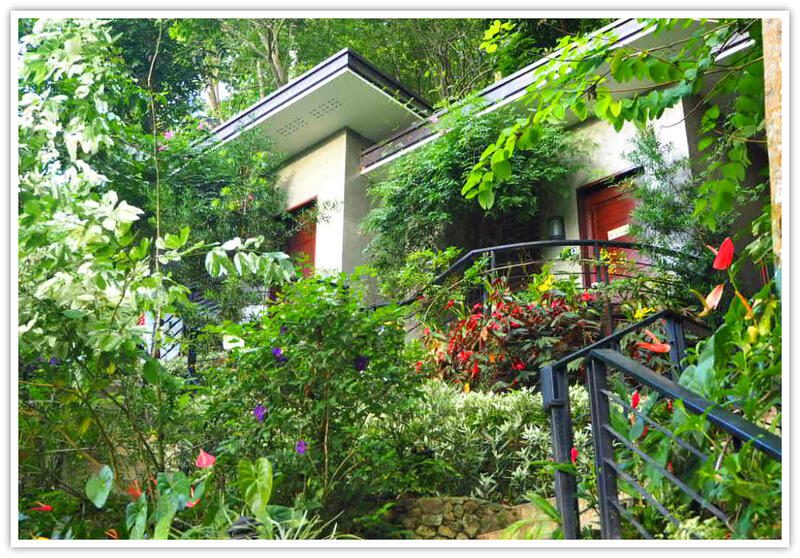 The owner’s dream, aside from growing more beautiful flowers, is to make Terrazas de Flores a space for Cebuano’s creative minds. A venue for visual art and poetry. When you are inside the garden, you can feel the father’s love for his children in the air. In many places, you can find that great affection through the paintings on the wall of the café. You can see it through the three cabanas representing his three children. Each cabana is painted blue, pink, and green. They are the favorite colors of each child. A humongous thank you to my niece (Karz) who recommended and insisted that we should visit this botanical attraction. This incredible experience materialized during my visit to Cebu City last June. I shall say that I will never hesitate to see the place again and again whenever I have the chance. Actually, Karz and I were lucky to have hired a habal-habal with a very friendly and expressive operator. Roy-Roy (not his real name) brought us to Terrazas de Flores and the Temple of Leah (PHP400) and return to the city on his single motorbike (locally called ‘Habal-habal’) for an agreed rate. Roy-Roy told us stories which we tried to listen with all ears. You know that it was challenging to hear while he was running some forty to fifty kilometers per hour! But he was a very safe driver! Getting to this place is not difficult as there are tons of motorbike operators waiting at JY Square, Cebu City. That is if you want to avail that sort of transport. Yes, all sorts of vehicles can freely drive through the ascending and winding road up to the garden’s vicinity. Karz and I started our venture late in the afternoon. Still, fortunately, it was bright. We (at least speaking for myself) I could see the verdant mountains and hills we passed by. The houses and buildings of the city are getting smaller and disappearing from my view as we continue our ascent to reach our destination. I was a bit concerned about riding a motorbike without wearing a helmet (Roy-Roy did wear). Despite that fact, I was relishing the cool wind caressing my face as we continue ascending our way up until we reach the entrance of Terrazas de Flores. I can only guess that Karz, who was riding behind me, was enjoying her ecstatic experience as her hair was surfing with the wind. Thankful to our guide and driver that we arrived safely. 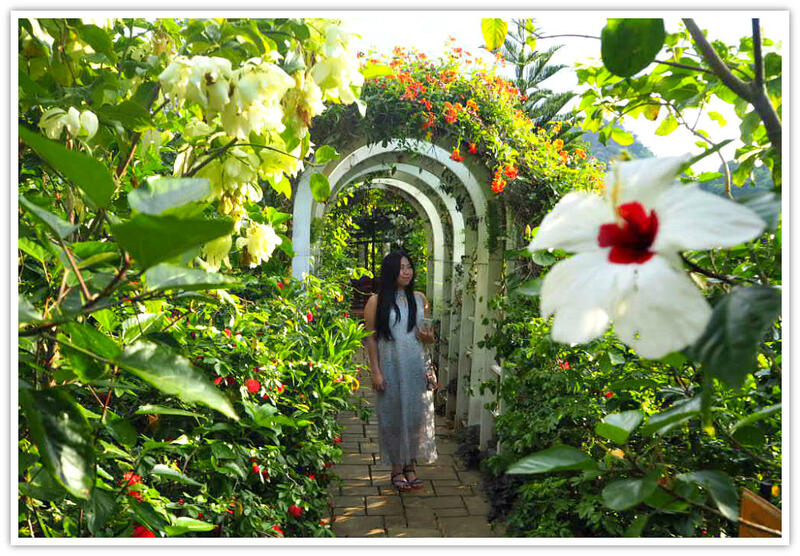 With much excitement, we snapped some photos right away with the terraces of flowers – our natural and living backdrop. Part of the deal was that our driver would wait and will bring us to another site. After quickly observing the whole garden, my immediate reaction was a little of dissatisfaction as I thought most of the flowers were not in bloom yet. However, looking more deeply into my quick and thoughtless judgment, I realized that these plants are more important than the flowers themselves. The over a hundred flowering plants are more priceless than the colorful fleeting flowers which may fade away in just a day (and you say ‘not all’ as many would stay in bloom for days or a week!). In a glance, I observed that Karz was totally awestruck and slumber into a deep reverie by what she saw for a moment. Then, she started taking photos and was leading the way up using the steps covered with overarching metal structure with flowering vines climbing over it and depending on their high support. We snapped photos at its entrance – just like what everyone does, right? For some thirty minutes of exploration, I found myself simply observing each flower, appreciating them, taking photos, and relishing its beauty and absorbing the positivity of the whole place. I met Karz again, near the café and she said: I am very thirsty and starving! And so we ordered our preferences. And we waited! Karz momentarily vanished! Then a woman suddenly appeared. I couldn’t recognize her for a few seconds. It was Karz. She was dressed and ready for the ‘photo-shooting session.' (I was so unprepared for it – it caught me by surprise :). She visited the lady’s room to change her clothes, I realized. I never thought she had that plan. She was prepared. The long white and silky dress was all along - tagging along with us up to this place - inside her backpack! Of course, I understood that she wanted photos of her to be taken. While waiting for the pizza to come, we utilized our time shooting photos. We had enough time as the pizza took more than usual to be ready. We felt we had enough of photo shooting inside the Terrazas Café, but our order didn’t arrive yet. We almost consume the 1.5-liter pitcher of Ice Tea. I guess we were just so hungry that we thought it took that long! Finally, it came, and we had our FILL!! As mentioned above, Terrazas de Flores has an area of about two hectares. So far only about half of it has been turned into what it is now. The work is on progress. Meaning - more beautiful and colorful flowering plant species will appear sometime soon. Some thought that terracing flowers such as at Terrazas are nowhere to be found in the country. 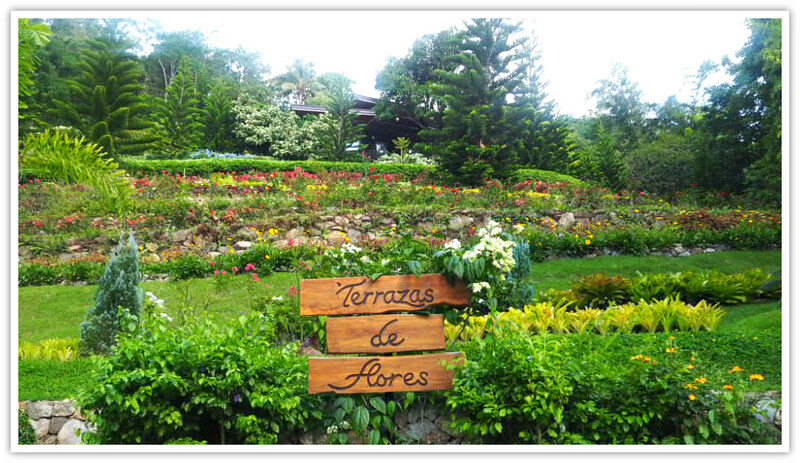 Terrazas de Flores is the first of its kind - at least in the province. While continuing to expand the garden and plant more flowers, the management is collaborating with San Carlos University’s biology department. The study for discovering and adding more biodiversity is also ongoing. Having the significant number of plants, it would be quite impossible for plant experts to remember their names. How much more to the ‘ordinary’ visitors who are curious to know their names? You guessed it right! The biology students of the university created name tags for each plant. How cool is that! Hearing stories of plans, Terrazas will include presentations and lectures about botany to all interested guests. How they will pull it off remains to be seen. For sure, such educational activity could provide participants with more knowledge about the country’s indigenous plants, especially the ones in Cebu Province. Hot Coffee Drinks: Black and White Coffees, Espresso, Latte, Cappuccino, etc. Blended Drinks: Blended Espresso, Blended Non-Espresso, Smoothies, etc. Yes, that’s a mouthful of the menu they got. 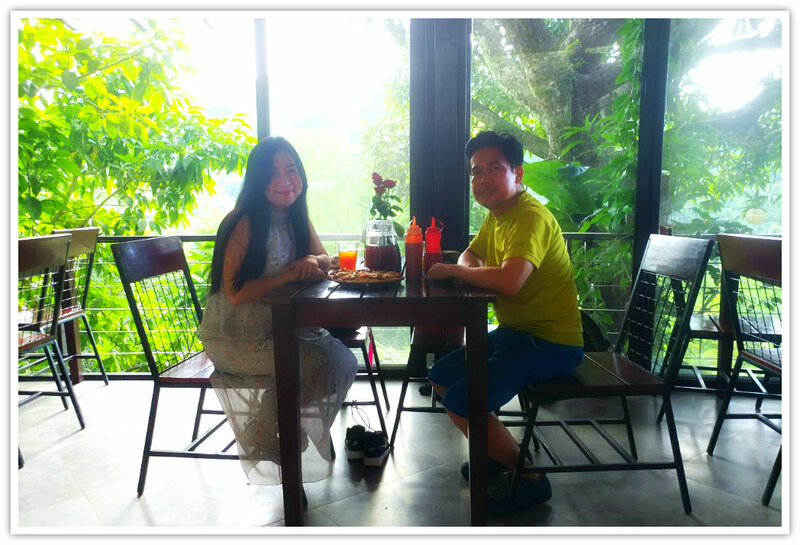 We tried the pizza and icy Ice Tea! Thirst totally quenched! Yes, Terrazas de Flores also offers this place for photo opp (photography opportunity). I tell you that they are into it. I saw a couple doing all the pauses. The hired photographer was busy making his moves as well while shooting. The management accepts reservations for any event including anniversaries, birthdays, engagements, pre-nuptials, and more. When I first heard about the terraces of flowers of Terrazas de Flores, the pictures of the Banawe Rice Terraces automatically come to my mind. But when I think of elevated gardens, you know what immediately comes to my mind? The Hanging Gardens of Babylon. Yes, when we talk about gardens. And this is what the Terrazas de Flores is closely associated with. In fact, the famous one of the seventh wonders of the world (in the past) was built with piles of bricks. Yes, they were bricks. It means that the whole structure was made of earth – mud (with a mixture of hay and some ingredients). So, the idea of a hanging garden, which I thought how Terrazas de Flores look like, is not something new. It is an ancient idea and practice. I’m sure that Terrazas could be the first of its kind in the Philippines but certainly not the first one in the whole world. Meaning – there are some places (when you Google the keywords) in the world where flowers are also grown on terrace forms but not quite exactly as we did with Terrazas de Flores. 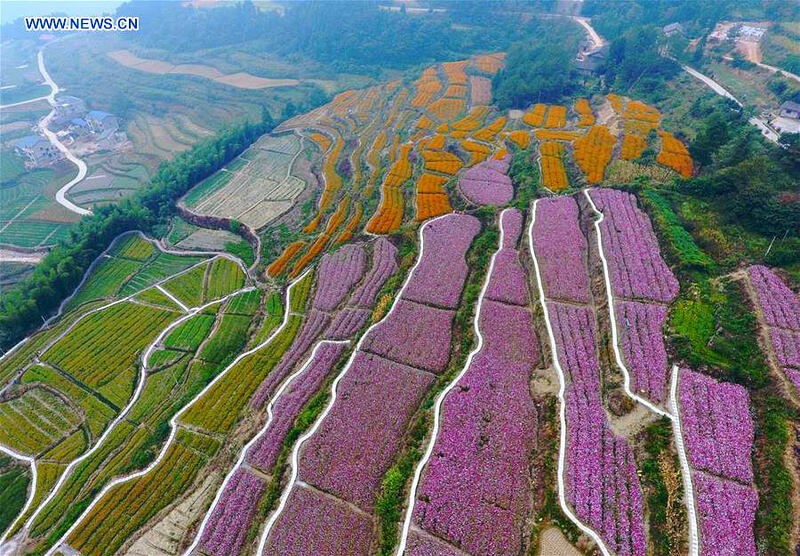 For example, I found that China has showcased a couple of places where they grow flowers on terraces: flower terraces. 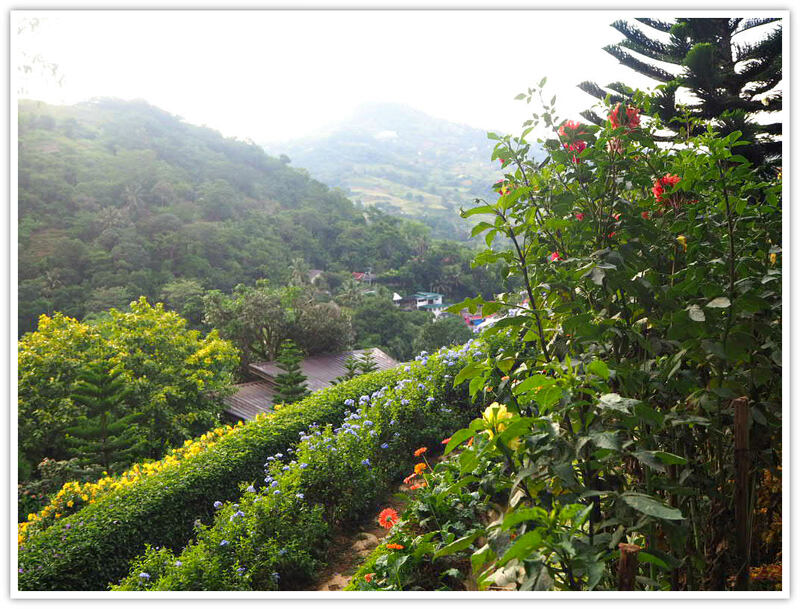 That difference is that at Terrazas de Flores, the owners and their workers planted various flowering plant species. The examples I have shown do not. They cultivate only at least one kind of flowering plant species. Creatively utilize mountainside (hillsides) that all quite challenging to be tilled by farmers. It is suitable for a creative business. It is environmentally sustainable in the sense that terraces prevent soil erosion the way Terrazas de Flores built its foundation. It is financially sustainable as visitors, tourists, and regular customers always look for places to unwind and meditate. It can serve as a place for healing as well. Also, the botanical garden preserves a strong family bond and sustain their heritage that will be handed down from this generation to the next generations. A beautiful story that should be told by elders to their offspring. 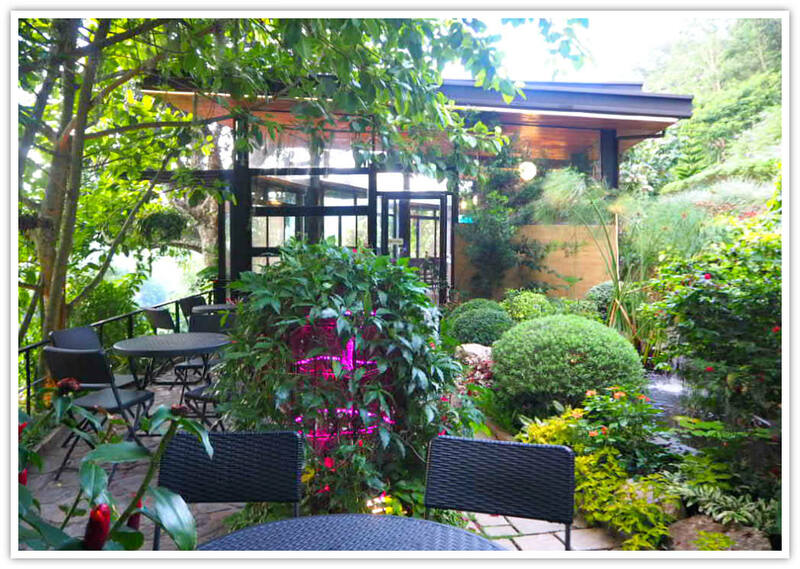 You will agree with me if I say that there are many advantages when we visit places, such as a garden. Obviously, a botanical garden like Terrazas provides you a rejuvenating environment – fresh air, refreshing breeze, more oxygen for the lungs, and green colors providing health effects for our eyes. Besides, nature’s way can heal our physical body which is suffocated by the pollution of all sorts of urban life. The beautiful flowers and green plants of varied species can be emotionally and spiritually uplifting. A place like this gives us time to reflect about the past (week, month, or years) or about things we have achieved and have failed to achieve. We can also look into the future and find inspiration from nature. More so, you can think of your action plans for the near future with a fresh mind and renewed spirit. Moreover, visiting places such as this is taking time with family, friends, or partner while enjoying a refreshing drink, ice tea or pieces of pizza. Time for bonding! BENEFITS: Gardening and enjoying a garden activity could help increase your calcium levels, reduce dementia risk, make you feel happier, fun aerobic exercise, and fight off loneliness. Now, if you don’t mind, let me go down deeper and explore a little bit more about the advantages of visiting flower gardens, or doing gardening as a healthy activity. You might have already learned that enjoying gardens (including flower, vegetable, bush gardens, etc.) can provide you health benefits. This article has offered me an opportunity to do a bit of online study on the benefits of gardens and gardening activity to humans. As you know, vitamin D increases your calcium levels which strengthens your bones, including teeth of course, and the immune system. According to health studies, exposure to sunlight (not too much though!) could aid older adults to receive the necessary serum vitamin D levels. So, go ahead and do gardening as a fun hobby (but don’t forget to use sunscreen, some shades, and sunglasses). Studies indicated that gardening could lower the risk of dementia for a relevant degree: around 36 percent! In some studies, physical activity, including gardening, was implemented to more than two thousand people (over 60 years old) for 16 years. The study concluded that gardening is truly helpful in reducing the incidence of dementia, among other illnesses. Another study in the Netherlands also suggested that gardening can relieve stress much better than other hobbies and activities. The tested group of participants was told to either read anything indoor or go outdoor and do gardening for thirty minutes. The result of the test showed that those who did gardening experienced better moods and their blood test confirmed lower levels of the stress hormone cortisol. Gardening could be your fun way of doing exercise especially if you don’t have a regular one. It is a form of aerobic exercise in the sense that you will be stretching, folding, twisting, bending and all such joints, muscle, and body calisthenics. While gardening, your movements helps your body become more flexible and accumulate stamina and strength. Yes, I believe that gardening or enjoying a flower garden is not only for older people. I thought it is also beneficial to kids and younger people. I learned that people who love gardening or enjoy being in a garden are living life more positively than those who do not. Anyhow, according to my source, gardening is very beneficial among retired individuals. Those who lack socialization opportunities, in particular. It can boost the quality of life of people “by providing a catalyst for neighborhood and community development, stimulating social interaction, encouraging self-reliance, beautifying neighborhoods… moreover, creating opportunities for recreation, exercise, therapy, and education”. I know that you cannot do such things at Terrazas de Flores per se. But you could still exercise by going up and down, strolling in the midst of the flowers’ terraces, bending down and up to observe each flower, among other flexibility movements you can perform. In addition to the above benefits of gardening, you will also gain the following cognitive benefits. First, the soil is thought to be an “anti-depressant.” The soil is found to have similar effects as anti-depressants to the brain lifting your mood. A team of scientist experimented with mice (again!). They found that mice that were exposed to ‘friendly’ bacteria typically found in soil changed their behavior in the same manner produced by an anti-depressant. The team examined the mice (their brains – awful!) and found treatment with a bacterium that has enhanced a group of neurons which eventually produced the brain chemical serotonin – a brain’s mood regulator (now this is really getting technical, I hope you don’t mind it!). The research indicated that when gardeners have physical contact with soil and inhale the bacteria, they will get the same effects that mice did in the experiment. CLAIM: “The natural effects of the soil bacteria can be felt for up to three weeks… antidepressant microbes in soil are also being investigated for improving cognitive function, Crohn’s disease, and even rheumatoid arthritis”. It means that you are only minding the present moment (and enjoying it) without simultaneously rehearsing things in the past or making plans for the future. In other words, you give yourself a break, turn off other stuff. Only focusing to the present moment. That is mindfulness! Finally, please let me introduce the third benefit in gardening activity. Just like other forms of exercise, gardening also exercises our mind and body. It can boost brain well-being. Research claim(s) that gardening utilizes many of our brain functions including learning, problem-solving, heightened sensory awareness, as well as keeping our brains generally active. Some findings and published studies claim that horticulture therapy reduces pain, improves attention, lessens mental stress and reduces falls. Another charity organization (Thrive) utilizes gardening in helping individuals suffering from a various range of mental illnesses – including people with post-traumatic stress such as soldiers. In their study, people with early-onset dementia showed, although their memory and focus did not change, that their mood and social interaction have increased. Now, I hope you don’t get too excited and start digging Terrazas soil. You may offer to work there as a volunteer or go home and start making your own garden (if you have such space). Alternatively, go and visit a friend’s or someone else’s flower (or vegetable) garden. You can fly with airlines that frequent to Cebu. If you don’t know much about Cebu Province, please let me have the honor to say that the provincial island has its own international airport: Mactan-Cebu International Airport Terminal 2. 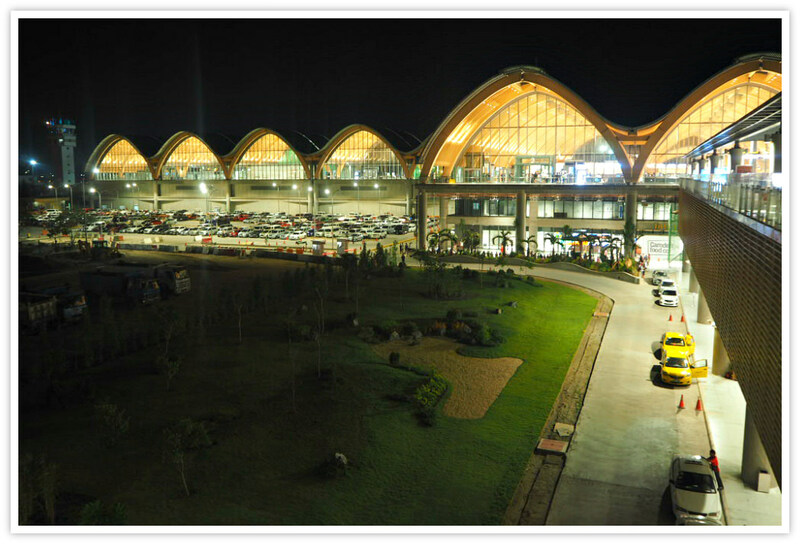 Moreover, a domestic airport which was used to be serving both international and domestic flights. The domestic one is at Terminal 1 (please see that page link to find out the airlines that operate in Cebu). You may also fly to Cebu City via neighboring provinces such as Dumaguete City, Negros, and Bohol Provinces and many points of origins. You can take a boat/ship to Cebu City (or other points of entry in Cebu Province where ports accommodate boats from other provinces, such as Cagayan City, Ozamis City, Iligan City, Negros, Bohol, Manila, etc.). 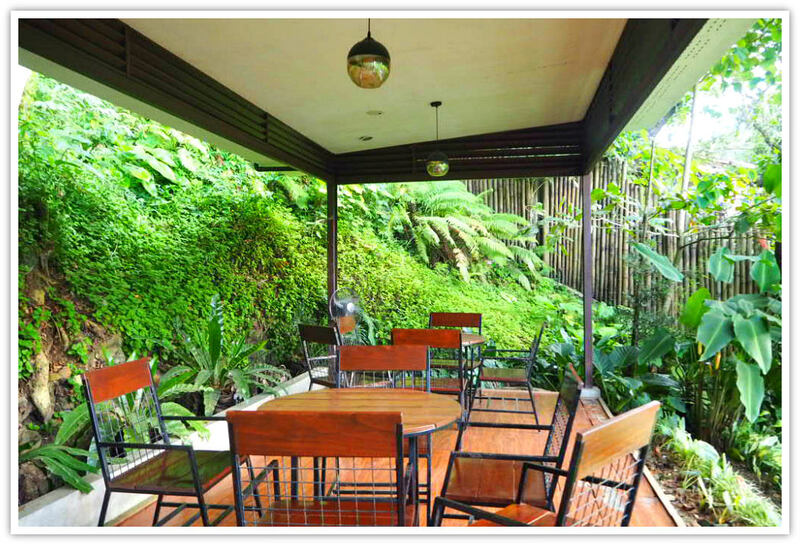 Now, when you are in Cebu City, Terrazas de Flores could be just an hour or a few minutes away from your location. Taxi. Getting to Terrazas is possible via a taxi ride. But it could be costly when alone, except when you have other travelers with you. Still, it is expensive especially if you ask them to wait for you to return to the city. Private Vehicle. It is easy, and you can park inside the botanical garden’s parking space. Please, use the quick guide below for directions. Motorbike: Also known as ‘habal-habal,’ this vehicle service is the king when you talk about getting to places that are difficult to find with affordable fare. Most visitors of the garden hire motorbike operators to bring them up and return down to the city on an agreed rate. PHP 200 is a reasonable price, but you could bargain if you try. Additional fee per hour (from 20 to 30 pesos) may be asked if you plan on staying longer. It only takes about 20 minutes from JY Square where many motorbike operators call their prospective back-riders. V-Hire. 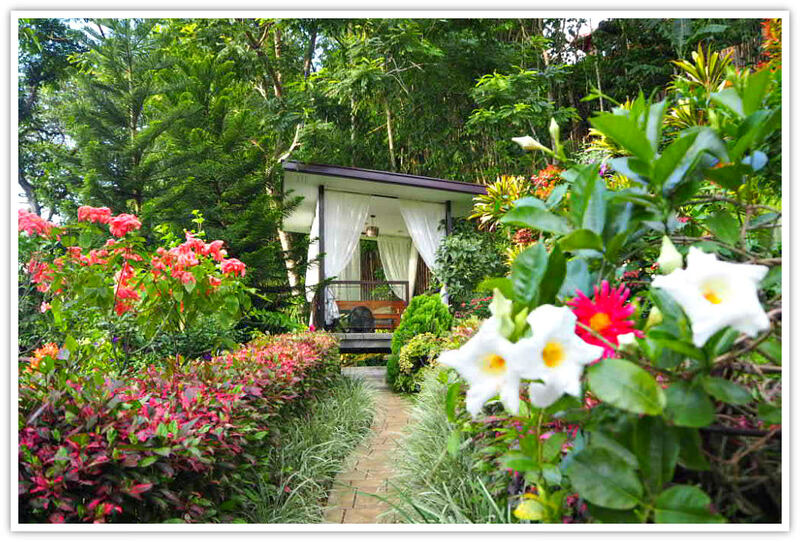 You can also take a Van from Ayala Center Cebu (terminal) bound for Balamban and get off close to the botanical garden. 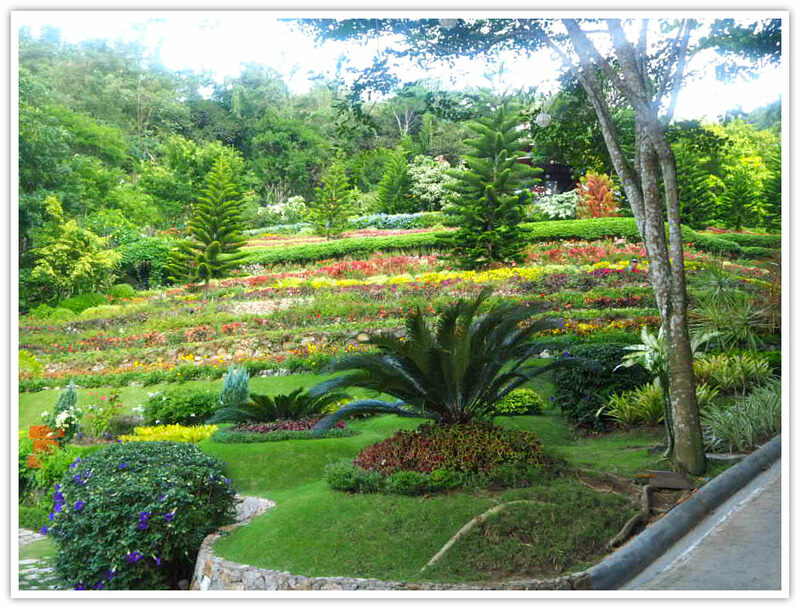 The botanical garden is located along Cebu Transcentral Highway in Barangay Malubog. It is also about 900 meters from La Tegola Busay (a famous Italian restaurant branch in Barangay Busay) which is before inclining to The Tops. Look to your right if you are coming up from Cebu City. Terrazas is just opposite Malubog Integrated School, which is on your left-hand side. I hope you found this article useful. If it does, please share with your friends. Wishing you sound health both in body and spirit. Enjoy your visit at Terrazas de Flores!